We’re tabling at the Babes and Babies Event on Saturday! 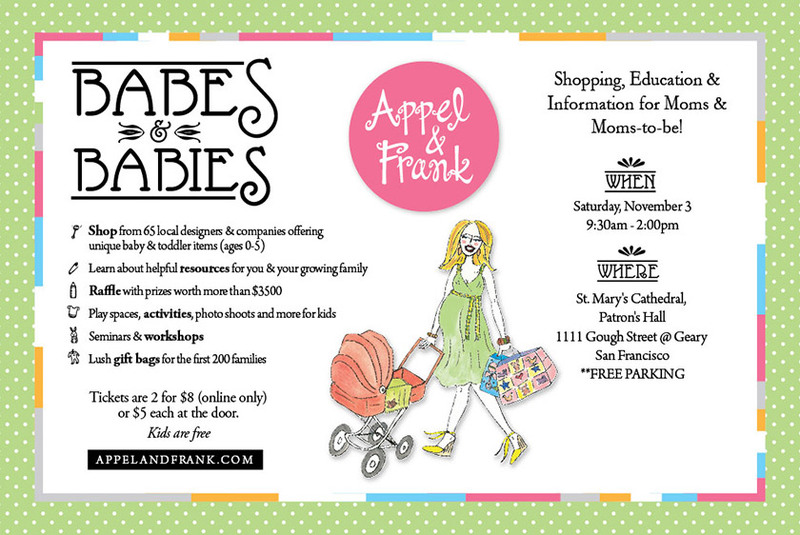 We’re excited to be a part of the Babes and Babies event hosted by Appel and Frank, taking place on Saturday, November 3, 2012. Where: St. Mary’s Cathedral, 1111 Gough Street, San Francisco, CA. Come by and check out our unique line of bamboo and organic cotton clothing for babies and toddlers, inspired by Golden Pigs and Yoga, among other things. We would love to see you!